Dr. Shields was born on the Eastern Shore of Virginia and was raised in Charlottesville. He graduated from Washington and Lee University in 1974 with a B.A. degree. 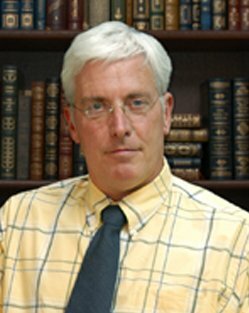 Dr. Shields received a Bachelors of Science from Virginia Commonwealth University and received his medical degree from the University of Virginia School of Medicine in 1983. He trained as a resident at the University of Virginia School of Medicine. After serving in the commissioned corps of the public health service on the Whiteriver Apache Reservation, he entered private practice in Arizona. His special interests include his family, laborador retrievers, boating, antiques, modern firearms, and SCUBA. He is chairman of Investigational Products and Procedures Review Board, a member of the hospital credentials committee, Treasurer for the Craven Pamlico Jones Medical Society and a volunteer for the Craven Regional Medical Center Foundation. In the past he has served as President of the local chapter of the American Heart Association. Dr. Shields is board certified in Internal Medicine. Dr. Shields is accepting new patients.